Andy Murray says he beat Roger Federer by being "aggressive" and capitalising on some poor serving from the Swiss in the Shanghai Masters semi-final. 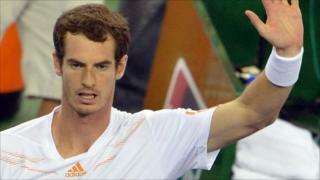 The Scot defeated Federer 6-4 6-4 and will now face world number two Novak Djokovic in Sunday's final. Murray took the first set after three straight double faults from Federer gifted him a pivotal break.